I noted in a previous blog post that for an incorrigible “redistributionist,” Obama sure hasn’t done much redistributing. The Gini index is up, median income is down, and income share for the top one percent, after a brief stumble during the 2007-2009 recession, resumed its upward climb in 2010. Obamacare will achieve significant redistribution in the president’s second term (assuming he gets one) but only in the circumscribed area of health care. What can Obama do to halt growing income inequality? I’m glad you asked, because this past spring I published a book (The Great Divergence: America’s Growing Inequality Crisis And What We Can Do About It) whose last chapter addresses this question. I’ve also been thinking about it a lot through the summer. Herewith, some suggestions. 1.) Raise the minimum wage. In the late 1960s the minimum wage was about half the average hourly wage for nonsupervisory manufacturing and service occupations. Today that’s down to 37 percent. Obama promised in his 2008 campaign that he would address this problem, and in 2009 the minimum wage did rise (to $7.25). But that was a previously-scheduled increase signed into law two years earlier by President George W. Bush. Obama has not himself increased the minimum wage, and despite much urging from labor unions he isn’t talking about the issue in the 2012 campaign. He should raise the minimum wage to at least $10 (in 2008 he pledged that it would be $9.50 by 2011) and then index it to inflation increases, just as the government already does with income tax brackets. As I explained in a TRB column in June, a growing body of economic scholarship has found no net job loss from raising the minimum wage, because whatever job losses occur due to raising the cost of hiring are balanced out by job increases attributable to the increased economic efficiency you achieve when you reward workers a little more for their effort. The great thing about a minimum-wage increase is that it stimulates the economy without increasing the federal deficit by a dime. 2.) Soak the rich. Obama should probably avoid such crude terminology. But really, bringing back the Clinton-era 39.6 percent top rate on family income over $250,000 (up from 35 percent) won’t be nearly enough. We also need to lay in some new brackets at $1 million, $10 million, and $20 million, with the top rate gradually rising to 70 percent. That’s what it was before Ronald Reagan became president, and the economists Thomas Piketty and Emmanuel Saez (whose 2003 inequality study bequeathed Occupy Wall Street the phrases “the 99 percent” and “the 0ne percent”) have calculated that the top marginal rate could go as high as 80 percent without sacrificing economic growth. (During much of the U.S. postwar boom it was above 90 percent!) Relatively little of the income-inequality trend dating back to 1979 was caused by changes in the tax system, but making taxes more progressive would certainly help. And besides, we need the revenue. 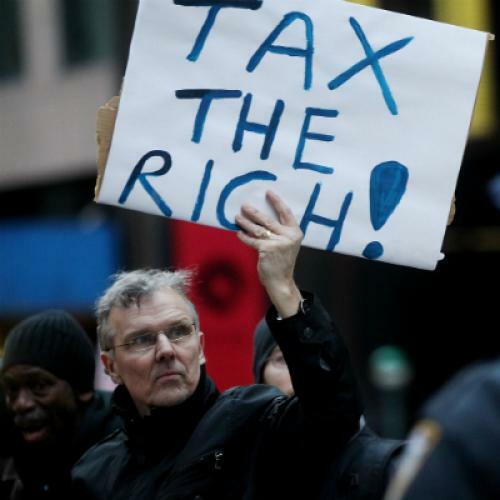 If income taxes are to go up on the middle class—as I think is inevitable after the economy recovers in order to bring the deficit down—then putting in these higher brackets will help reassure ordinary Americans that the rich are paying their fair share. While we’re at it, let’s see if we can scrap the regressive payroll tax and replace it with a carbon tax or some sort of resource-consumption tax. Also, let’s resume taxing capital gains at the same rate as wage income, just like we did under Ronald Reagan after the 1986 tax reform. 3.) Import more skilled labor. This is the one idea on my list that Republicans will probably like better than Democrats. Business is clamoring for more H-1B visas for highly-skilled guest workers, and I say let’s give it to ’em. The domestic shortage of highly-skilled labor is not only holding back U.S. industry; it’s also contributing to income inequality by bidding up the price of highly-skilled laborers. 4.) Universalize preschool. Another Obama pledge from 2008. He’s done more on this one than on the minimum wage, but as Sara Mead of Bellwether Education Partners pointed out here in December, it’s mostly “too little, too late.” Nationally, only 27 percent of all four year-olds are enrolled in pre-K programs (as compared to roughly 100 percent of the four year-olds of all my friends). The relationship between early education and income distribution was underscored by a recent study by Harvard economist Raj Chetty. It found that a one-percentile increase in scores on tests administered to Tennessee kindergarteners at the end of the school year correlated with a $94 increase in annual wages at age 27—and that's after the data were corrected for family background. 6.) Re-regulate Wall Street. In addition to stabilizing the economy, imposing stricter regulations on Wall Street would have the happy effect of curbing stratospheric incomes in the financial sector, which have been a driving force in the growing income share of the nation’s top one percent. Dodd-Frank was a good start, but more needs to be done. Although congressional Republicans have lined up with Wall Street to fight additional regulation, a surprising number of conservative thinkers actually think breaking up the big banks would be a good idea. 8.) Bring back the WPA. If the private workforce continues to shed middle-income jobs, we may find we have no choice but to create them in the public sector. There’s plenty of work to be done: repair of existing infrastructure, helping out old people, etc. Look, I know this isn’t going to happen anytime soon. But we need to start talking about it. That’s just a quick tour. If you want more details, Mr. President, you’ll have to buy my book.